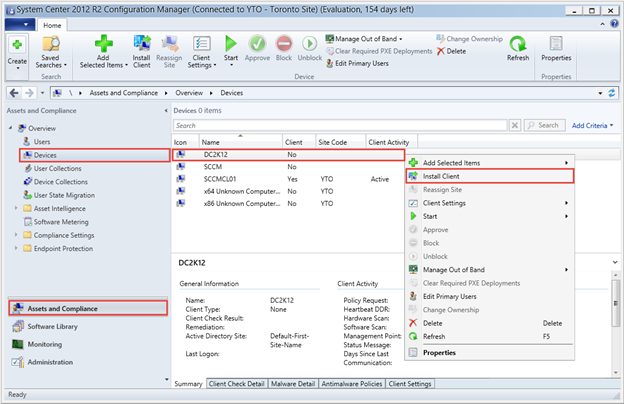 After installing SCCM, we need to configure boundaries and run the discovery process. Once that is completed, we can now perform client installation. First, we need to configure a network access account for the installation / configuration to be successful. 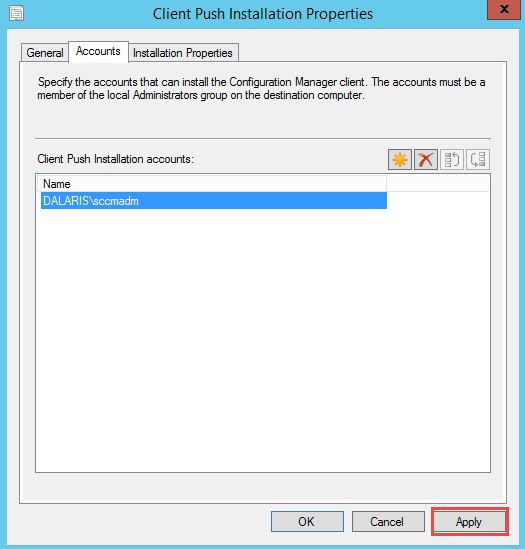 Client Push Installation: The administrator initiate the client installation from the SCCM server to a chosen client machine. For this to work, firewall exceptions must have been configured. If you have followed this lab from Part 1 to now, the firewall exception should have been done. 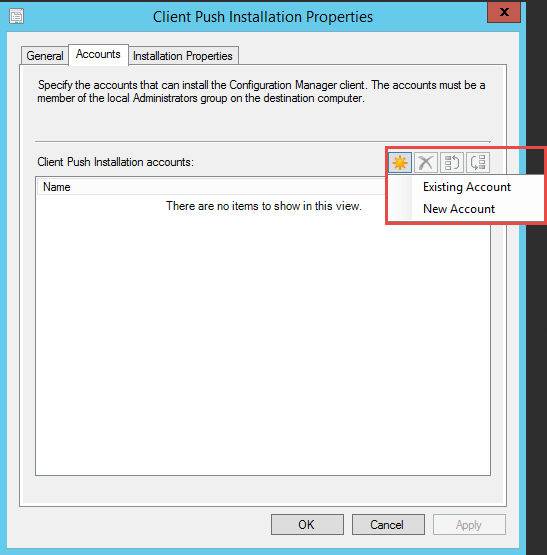 Automatic Sitewide Client Push Installation: The administrator performs the client installation for a site. Client installation will then automatically run on the computer that the discovery process found for those boundaries that belong to a boundary group (BG). Software Update Point Installation: Uses Configuration Manager software Update feature to install client. No discovery is needed to be performed prior to this. 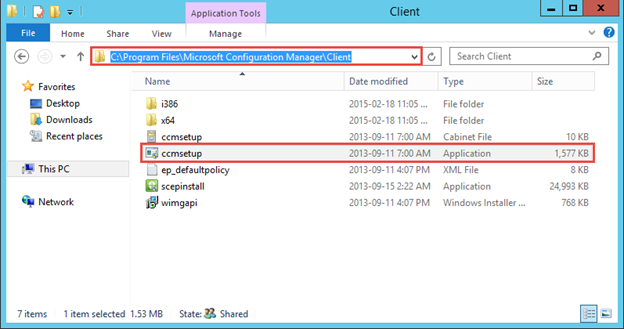 Manual Client Installation: Manually install the client by using CCMSetup.exe on the specified computer using an account that has sufficient permissions. The setup file can be found in the following location on the Site Server or on the Management Point in your site. 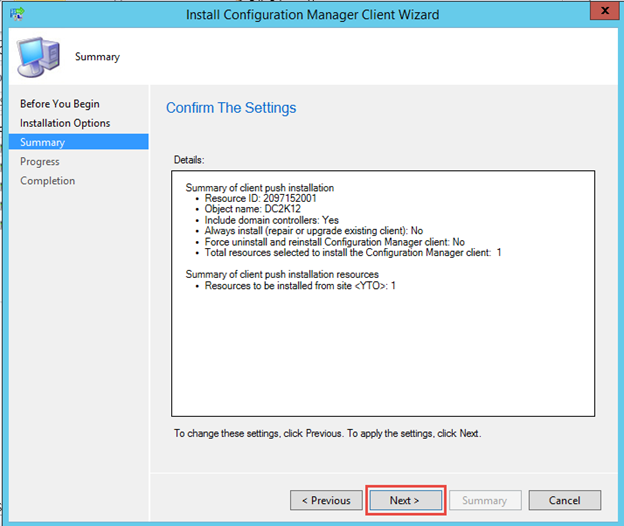 Group Policy Based Installation: Install Client Manager client using Group Policy. The client installs when the client computer first starts. The user can find the installation option in the Control Panel Add or Remove Program. 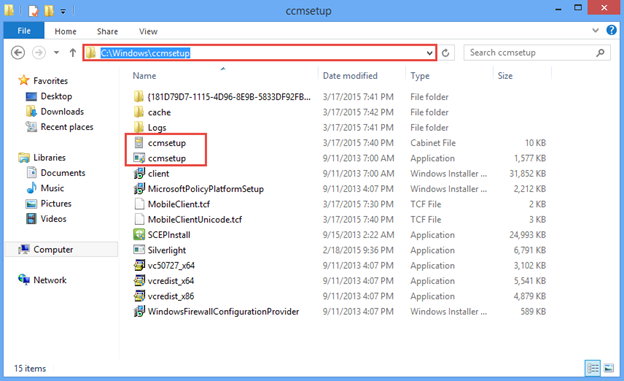 Using Logon Scripts: Use logon script to launch the installation file CCMSetup.exe when the user logs on. 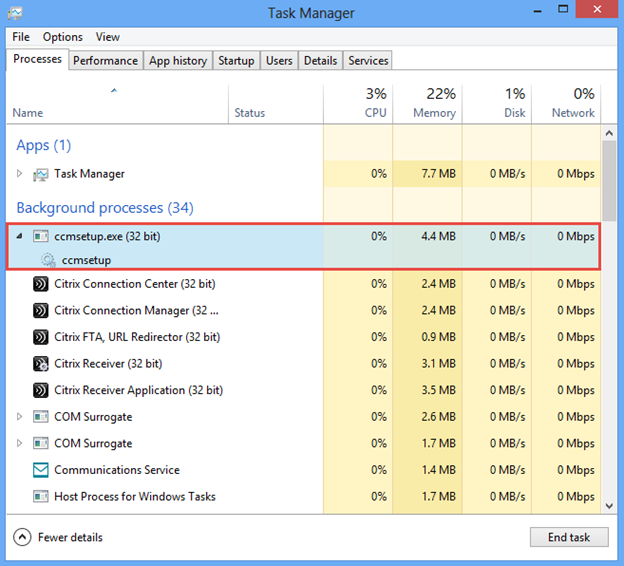 Using Computer Imaging: Package the installation to the Windows OS image so that when we deploy the OS image to the client computer in the organization, the client comes pre-installed. Client computer must complete site assignment at the time of deployment. Upgrade Installation: Uses the existing software distrinution infrastructure to upgrade client. This method requires discovery process to be completed beforehand. In this lab, we will install System Center client using the Automatic Site-wide Client Push Installation method. 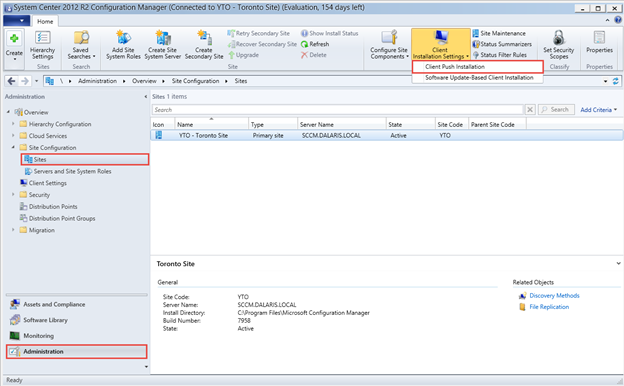 Open Configuration Manager Console, click Administration. Under Site Configuration, click Sites, then click Client Push Installation under Client Installation Settings button on the standard menu bar. 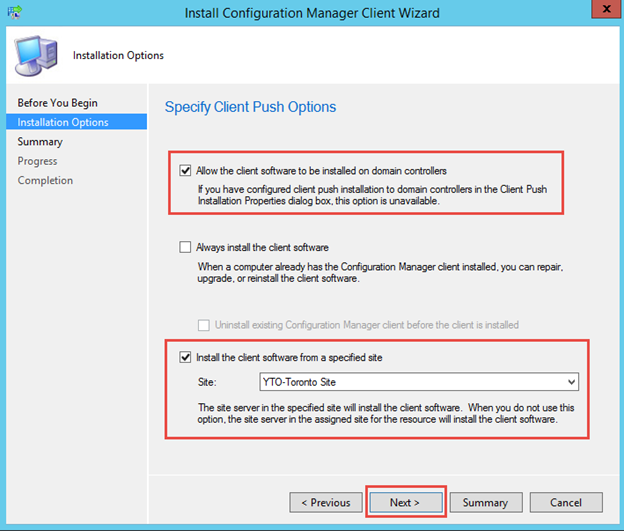 In the General tab, choose to enable automatic site-wide client push installation. 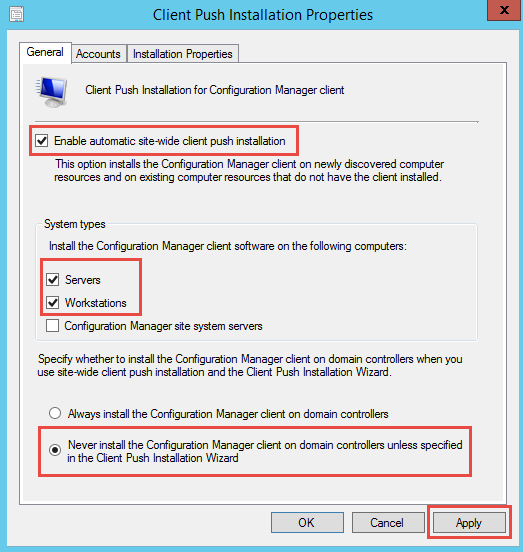 We can also push client installations to domain controllers if we choose to do so. 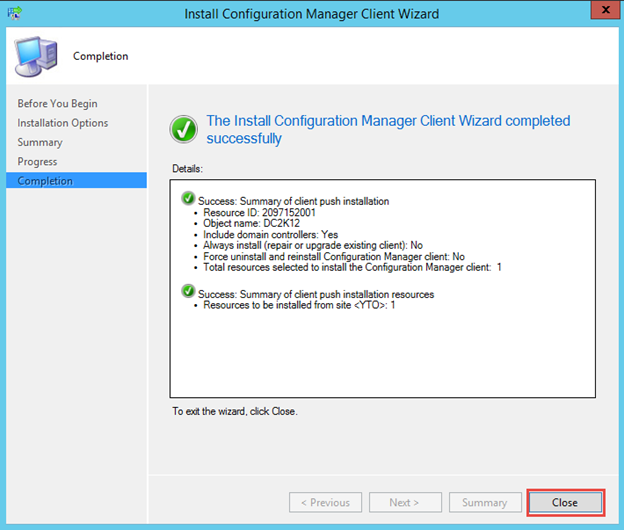 In this lab, I choose Never install the CM client on Domain Controllers so that we can choose to install it during client installation wizard. Click the Accounts tab and choose the yellow icon to add an account that has local administrative provilege to the client computers in which the Configuration Manager Client to be installed. Click New Account and choose dalaris\sccmadm as the account. Click OK when done. At this point, any client computer (member of the Dalaris.local domain) will have the ccmsetup.exe process running. 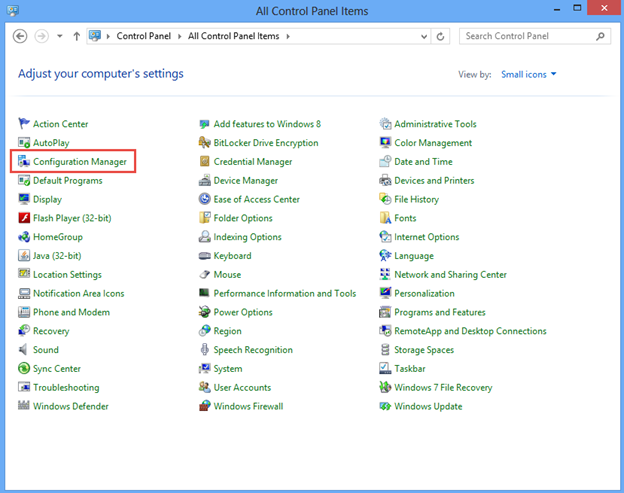 After a short moment, open the Control Panel on the client computer we will see Configuration Manager item in it. 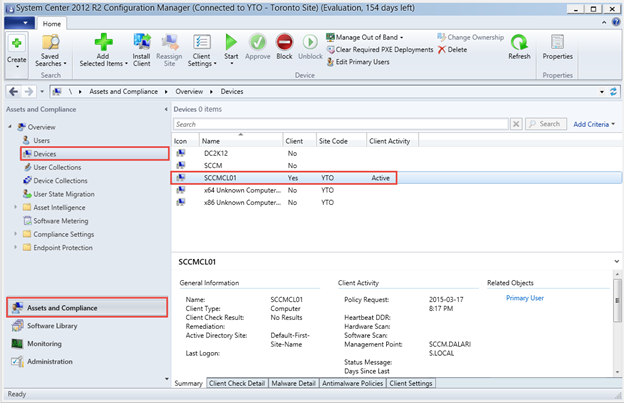 We can check the device status in SCCM console. An ACTIVE status should be shown. In the above lab, we used Automatic Site-wide Client Push Installation to install CM client. In this part, we will be using Client Push Wizard to perform the installation on another computer. From CM Console, click Assets and Compliance. Select Devices. 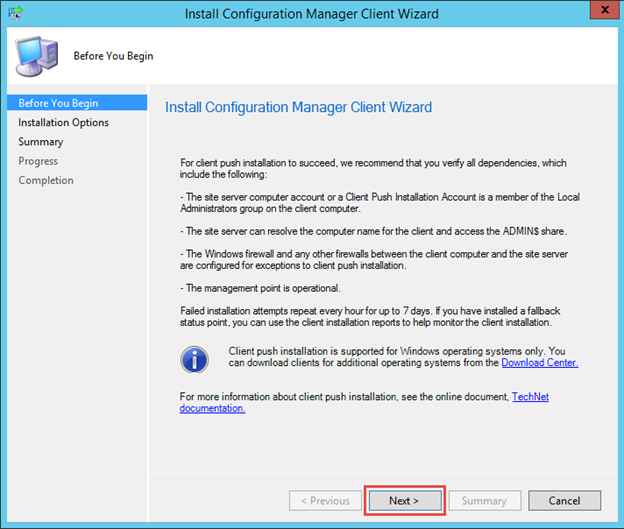 Right-click on the system to install CM client and choose Install Client. Since we chose not to install Client Software on Domain controllers (in the previous part), we can now install Client software to our domain controller. Choose to allow installation on Domain controller and also choose the specified site to install from. Click Next. (note that this process only exists when the installation takes place). 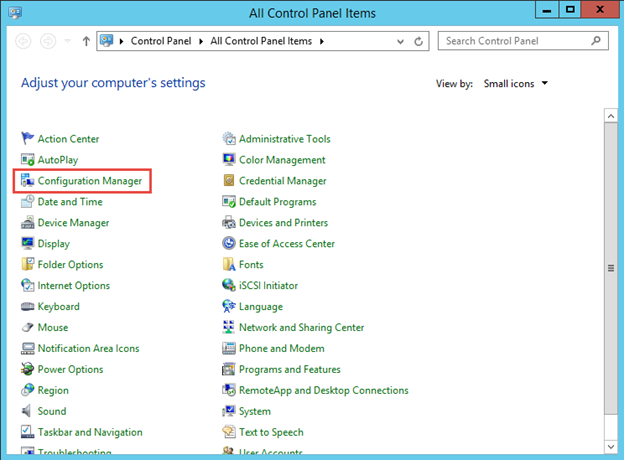 Also take a look at the Control Panel on the Domain Controller to see that the Configuration Manager should be there now. 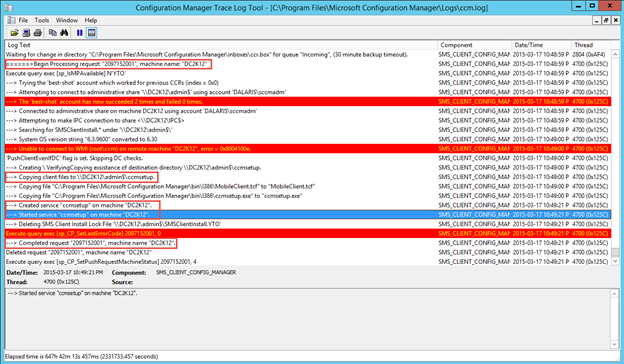 Launch the CM Trace Log Tool to verify the CCM.log file. 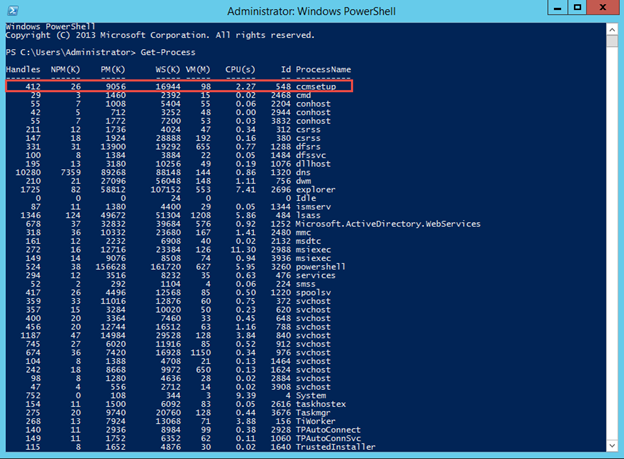 You will see that the log shows successful installation.